Easter is right around the corner. And if you are out of ideas about what you can do in order to make the season fun for your seniors and the kids, this blog is for you. Making the celebration fun will be stressful. And plus, the elderly have specific conditions that restrict their movements. But, let us get rid of the bingo activities and start being creative in bringing the spirit of Easter. Easter is not complete without any Easter egg hunt. We do not know about you but there is this certain fascination with looking for and collecting pastel-colored eggs. This is even made more exciting because of the prices that come along with the eggs. And to top it off, do not forget to decorate the place with friendly pastel-colored embellishments. You can also ask everyone to wear bunny ears to make the event lively and entertaining. As a bonus, put treats like jelly beans and candies inside the plastic egg before you scatter them around in your place. This will help your home-bound patient move around, thus, getting rid of various situations that threaten their health. Finding Easter eggs will be easier and more entertaining when kids and the kids-at-heart are given a basket that they could put their eggs in. But this basket should not be your typical Easter basket. You can ask the participants to make their own basket with the use of chocolate bunnies, Easter grass, tissue paper, jelly beans and more. We do not know what is with Easter but the more we think about it, the more we remember chocolates and bunnies. Why not have both and teach the kids and the elderly how to make their own chocolate bunnies? Melt chocolate into bunny molds and let it freeze for several minutes. Paste two chocolates back-to-back with a chocolate paste and you have your own bunny! Staying at home does not have to be boring. You can do many things this season. 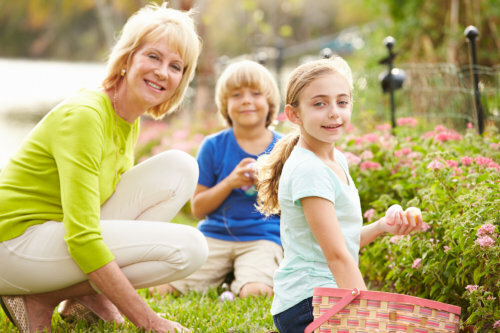 So invite the whole family and some friends and make this April the most memorable Easter season you ever had. As a Home Care in Louisiana, we make sure that our patients are attended to and, at the same time, are having fun. That is why we want to celebrate this season with them not as clients but as family members. This entry was posted in Home Care, Home Health Care and tagged burn pain, elder, elderly care, home care, home care in louisiana, home health. Bookmark the permalink.